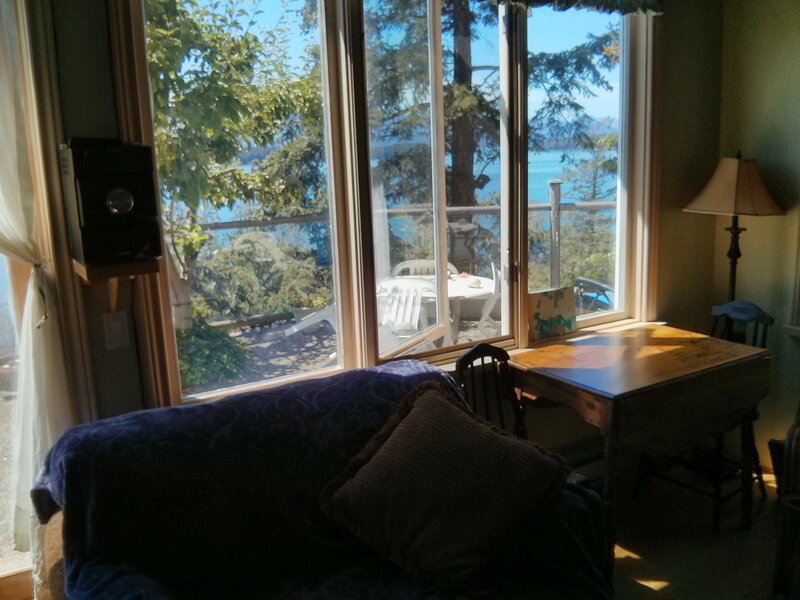 Dogwood cottage sits on water front acreage about a 15 minute drive north from Ganges in a rural area. 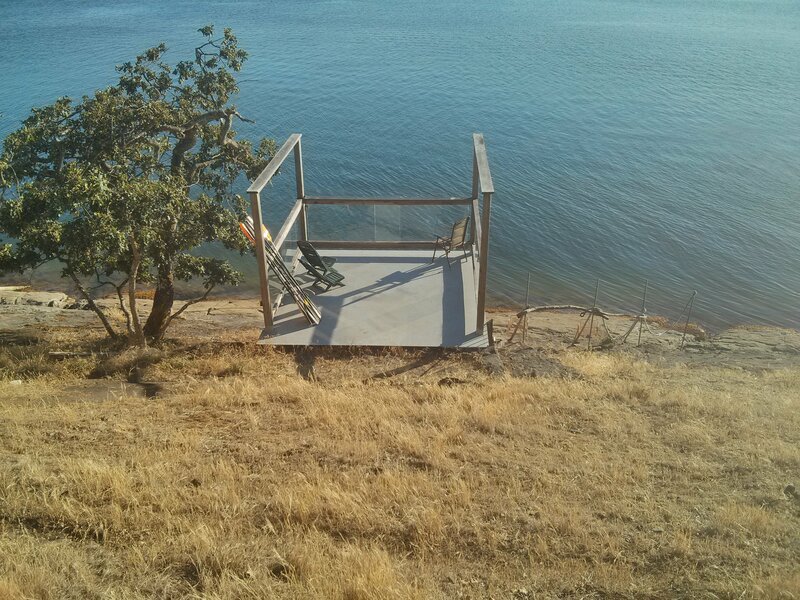 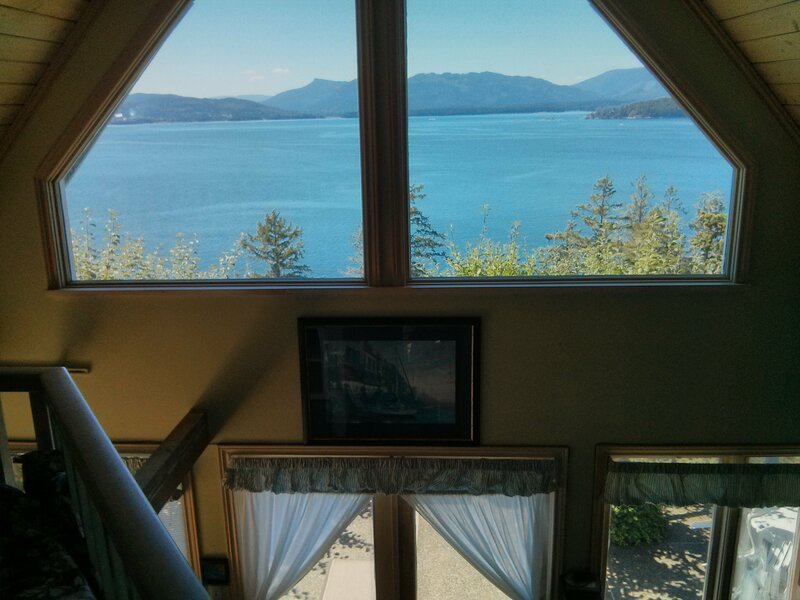 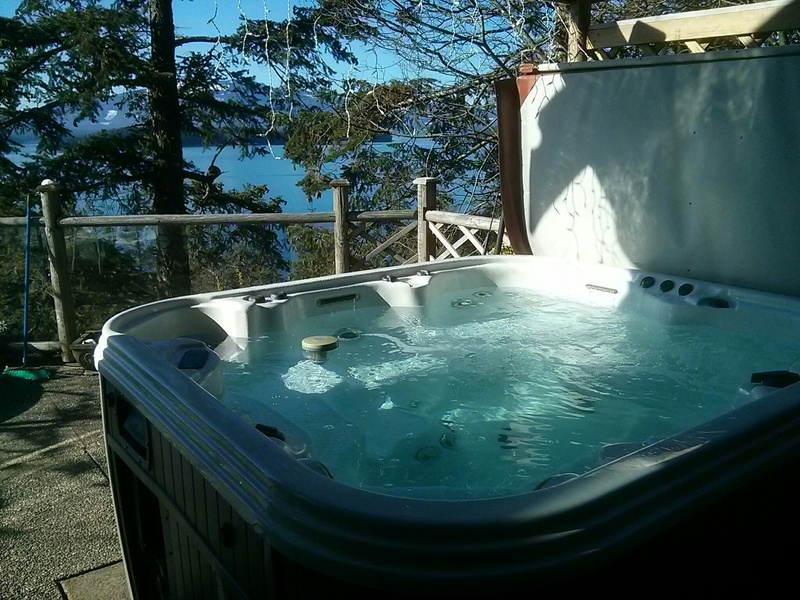 The cottage is located approximately 500 feet from shore line and is at an elevation which presents a panoramic view to the West looking out to Tent island with Vancouver island as a back drop. 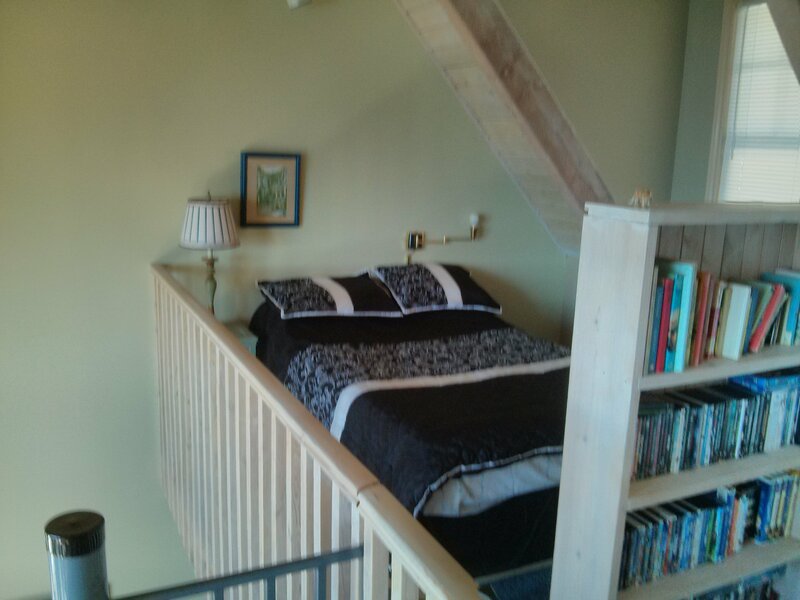 The cottage is 600 sq feet on the main and 350 sq feet in the loft. 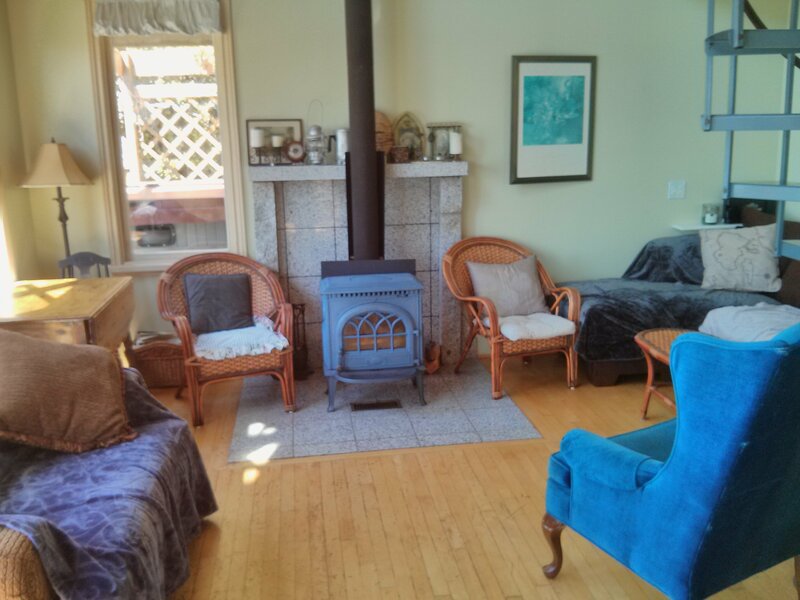 The main level has a kitchen with a full size electric stove/oven, over stove microwave, dishwasher, side by side fridge /freezer with filtered water and ice. 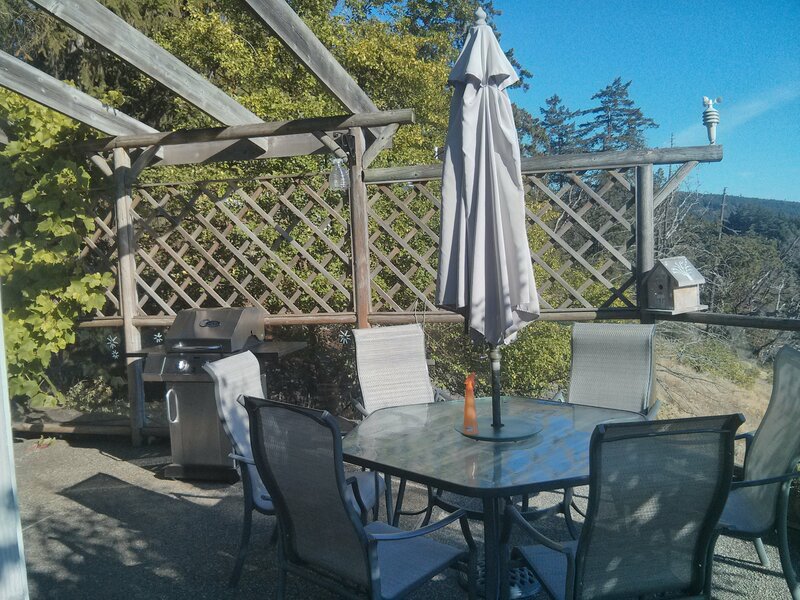 There are also other small kitchen appliances. 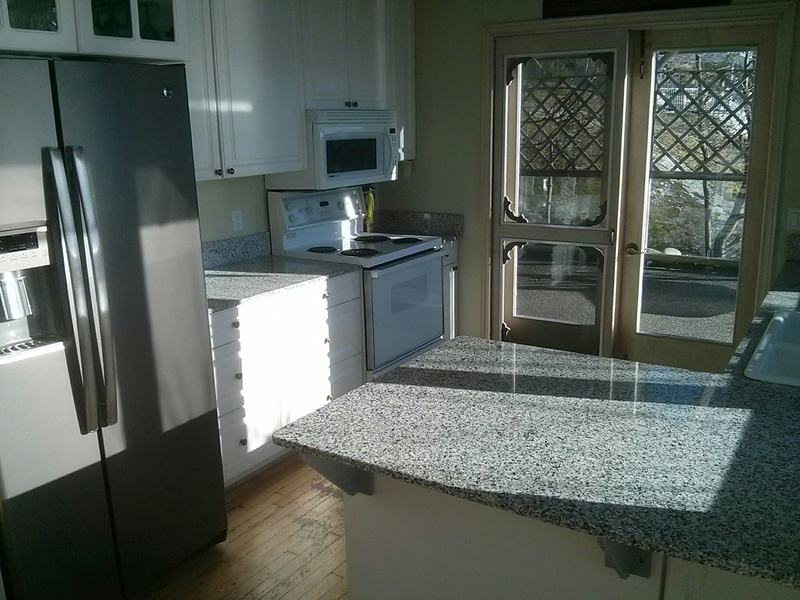 The counters are granite. 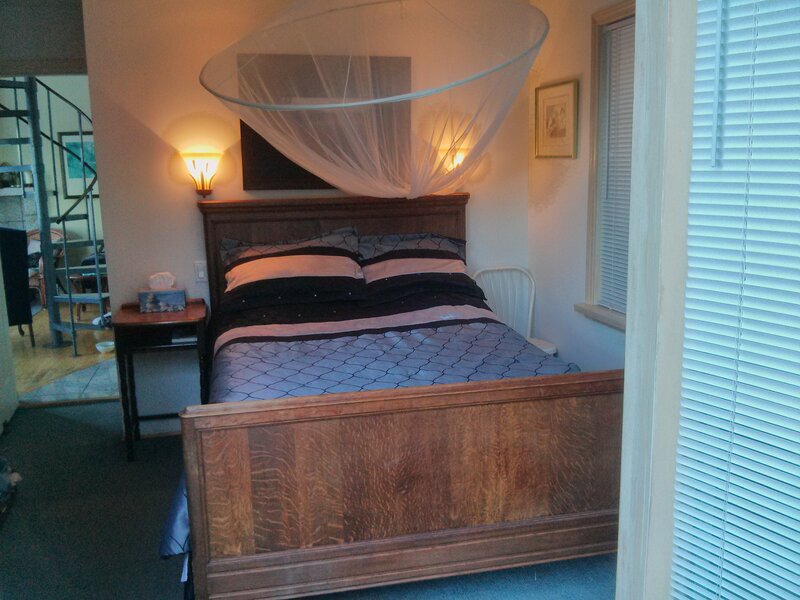 Also on the main is a small bedroom with a full size bed and the bathroom with shower only. 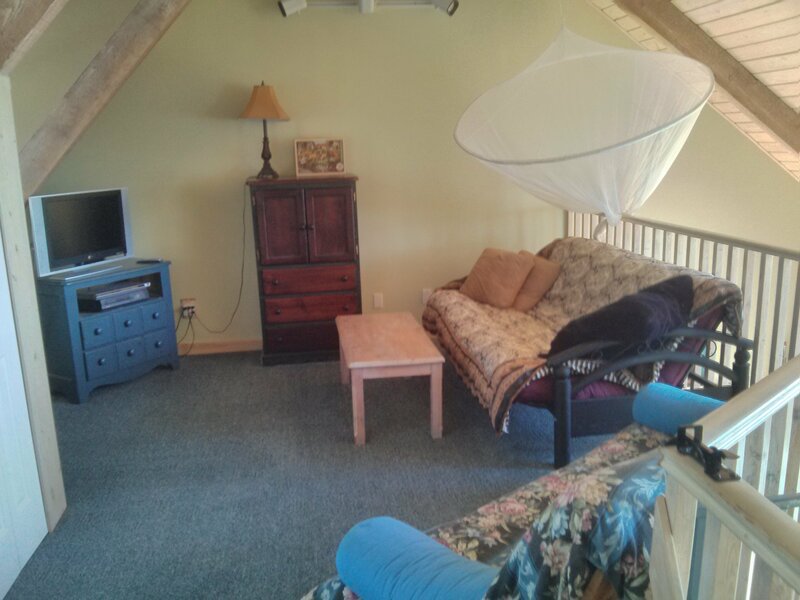 The loft is divide into 2 section, one side has a full size bed, the other has 2 futons.